Zanzibar offers one of the most enchanting holiday destinations in East Africa, and even in the world. It’s also pretty accessible with a well served international airport. At the moment, getting there from Kenya costs from as low as KShs. 26,300 by Kenya Airways, which is recommended for not only being the most affordable option, but also its relative reliability and comfort. For those travelling there, it is recommended to do some research around your destination and potential places to stay at. Stone Town - part of the capital city is the most popular destination of course, followed by Nungwi which is on the extreme tip of the island. There are other destinations around Ugunja (Zanzibar's main Island), such as Matemwe, though these come recommended for those looking for more secluded or scenic places. 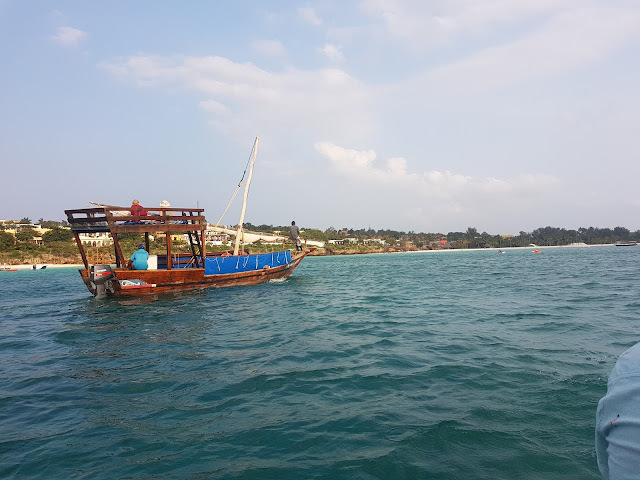 Also important to note is that the area around the capital doesn’t offer much of a beach, hence why Nungwi is Zanzibar's second most popular destination. Besides Ugunja, Zanzibar is made up of other islands including Pemba, which is the second largest. Pemba is accessible by ferry but not by an international airport as Ugunja is. 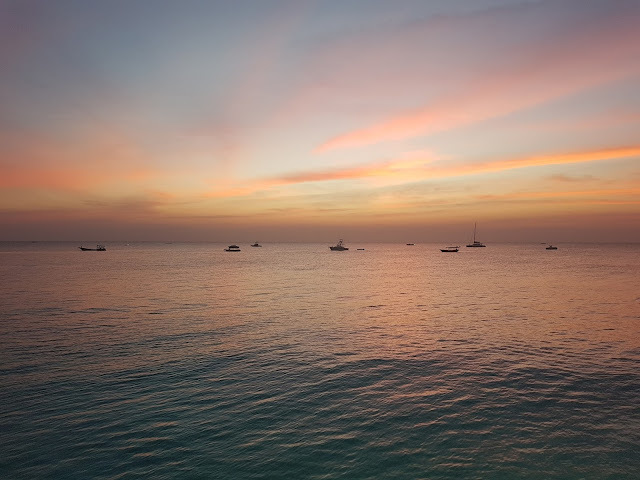 Another popular way of travelling to Zanzibar is by travelling to Dar-es-salaam first, then taking one of the many ferries that ply between Stone Town and Dar. Kilimanjaro ferries are one such option and they do offer fast and modern ferries for those in search of such an experience. Booking.com offers a great resource for those looking for accommodation around Zanzibar. Besides Booking.com, other resources that may be of help when it comes to accommodations include Jumia Travel and AirBnB. Once in Zanzibar, moving around can be done through the many taxis that especially serve tourists and which can be distinguished by their red plates. It costs Tshs. 15,000 from the airport into Stone Town, and from about Tshs. 60,000 from the airport or Stone Town into Nungwi. Public transport in the form of daladalas is also a relatively cheap option. For those travelling between Stone Town and Nungwi, travel agents can arrange for a more affordable “tour bus" that plies the two destinations, though this may not be available on some days. Now, one thing that you will need to be aware of is that payments in Zanzibar are predominantly done by cash. Many merchants shun any form of cashless payments and will either accept Tanzania Shillings or the US dollar. A few merchants and tourist serving businesses do accept merchant cards, but with a catch - they will charge you a commission, usually 5% or 6% of the transaction amount if you are paying by card. You should be wary of any business that claims not to charge a commission as they will instead offer a fixed exchange rate that includes a hidden, higher commission, say 10%, before billing you in dollars. Zanzibar City is well served by dozens of banks and ATMs, though you may encounter a limitation in the amount you can withdraw per transaction. The limit of cash notes an ATM can dispense may be exceeded at amounts of about $150. The island is well served by forex bureaus, with US dollars, Euros, South African Rand, Canadian Dollars, Australian Dollars and Kenyan Shillings widely traded. The rates, however, vary widely with the best rates being around the city. For Kenyans, KCB, Equity and Barclays Banks do have branches and ATMs around Zanzibar City. While Equity Bank charges Kenyan rates for withdrawals, it dispenses in Tshs at a rate that’s not badly off. I am not conversant with what the other two banks charge. There are, however, few or any banks and ATMs outside Zanzibar city. 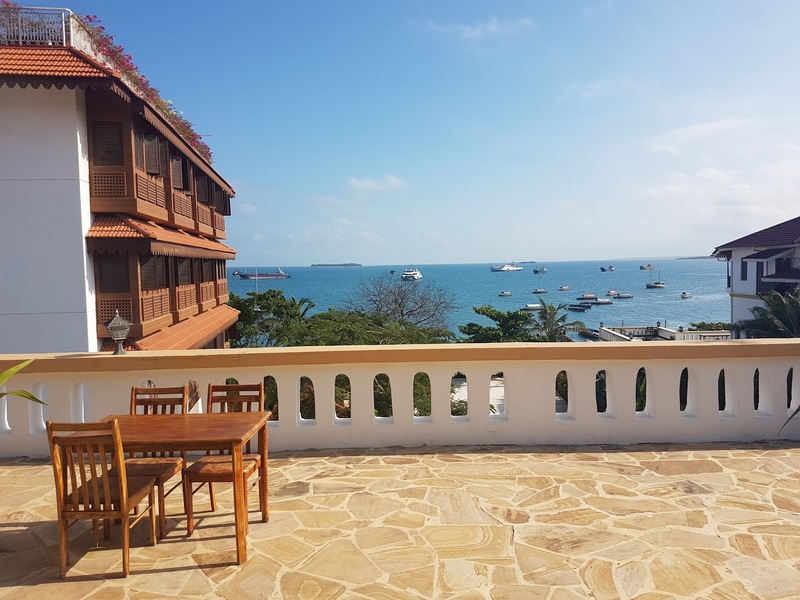 Abuso Inn in Stone Town does offer quite affordable bed and breakfast, and with great views into the sea. 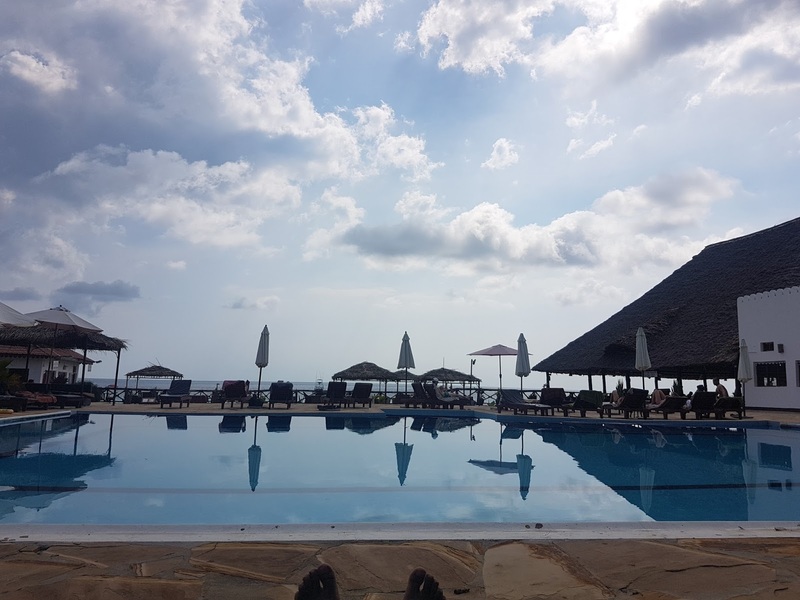 For those looking for something more upmarket, there’s Serena Inn and Park Hyatt by the sea too, and Double Tree by Hilton that's not so far off. Park Hyatt appears to be the most luxurious hotel around Stone Town, and as you will note all four establishments are within the same neighbourhood. For things to do around Zanzibar City, Stone Town tops the list. You can walk around the narrow streets and the century old buildings, even at night - its’ quite safe in this part of town. 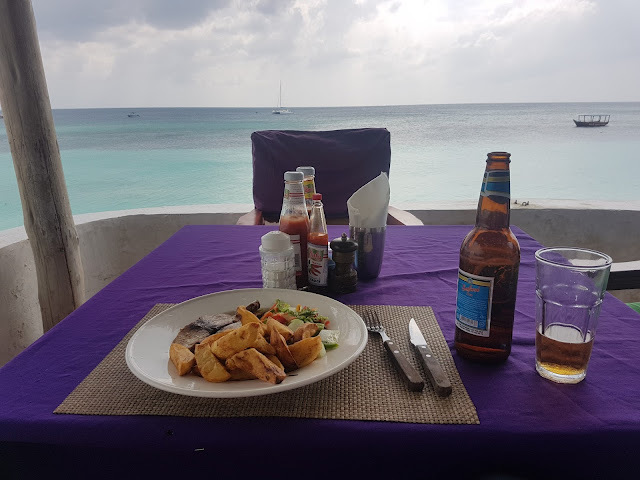 For restaurants around Stone Town, Luukman comes highly recommended for its fresh seafood variety and very friendly prices. Tamu Gelateria offers great ice cream and pizza, while there is an assortment of other great restaurants here. Most touristy restaurants will charge between Tshs. 15,000 to Tshs. 20,000 for a meal, including sea food. By night, Stone Town does offers a tasty street food stands offering chicken and beef bitings. 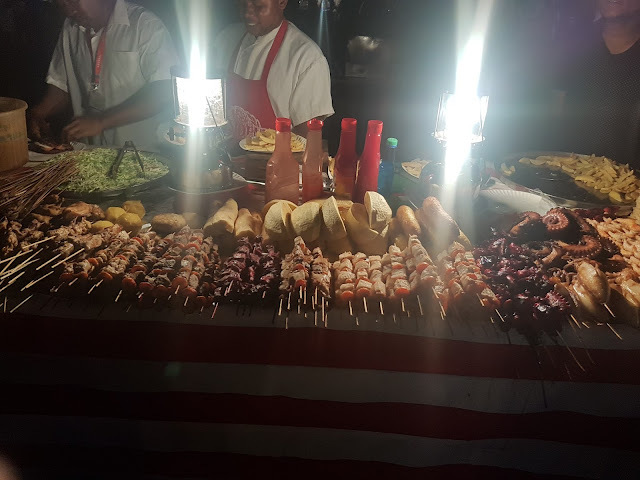 While the street food within the town is okay, you would be advised to totally avoid eating at the night street food stalls within Forodhani Gardens, unless food poisoning is part of your planned experience. This particularly affects the sea food stalls as sometimes they may serve food from the previous evening or two. Seafood is particularly easy to contaminate when not frozen. For those looking to venture into a night out, Tatu and 6 Degrees are the places to be. Both are located within the Shanghani bit of Stone Town and are quite close to the ocean. Tatu gets its name from a series of three locations - a bar on the first floor, a club on the second floor and a “lounge” on the third floor. The lounge comes alive at about 11 PM, but has a cover fee of Tshs. 5,000. The bar is alive by sunset and has no cover fee, but both the pub and club stop serving at 11 PM. 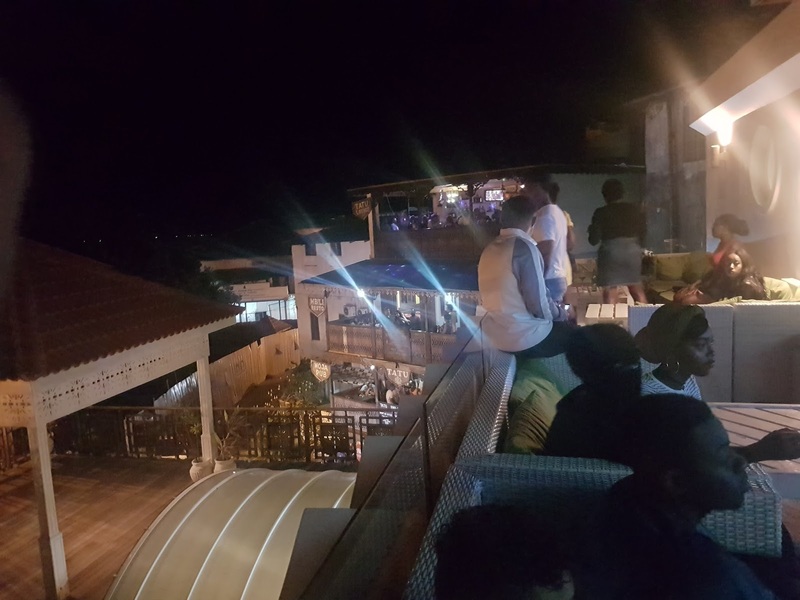 Opposite Tatu is the funkier 6 Degrees South, which also offers a rooftop lounge. The cover fee here varies from Tshs. 5,000 to Tshs. 10,000. Both Tatu and 6 Degrees offer nice places to catch the sun set across the ocean - though next-door House of Africa also has breath-taking views. You’ll also find a number of bars by the ocean in Stone Town, including a few near the public beach and the Mercury by the ferry. Standard pricing for beer across the island is TShs. 5,000, which while overpriced by local standards, is interestingly cheaper than the cost of a beer at many a joint in Nairobi. Many tourists prefer Kilimanjaro Lager, with Safari Lager coming in at a close second. Other options include Tusker and Castle Lagers as well as Caslte Lite. Other things to do in Zanzibar City include sight seeing with various points of interests around Stone Town. For the nature inclined, you can take a boat trip to Prisoners Island which does have a tortoise and peacock park. The boat ride should set you back about Tshs. 60,000 (can be shared) while the island charges $4 per foreigner. Pizza and beer can be purchased at the island. Nungwi is a small town on the extreme end of Zanzibar's Ugunja Island, about one and half hours by road from the city. The road is tarmacked all through and Nungwi can be accessed by taxi or by public transport known as daladalas. The place is Zanzibar's most popular resort town, hosting a number of well known resorts. It also appears to have developed quite recently. With that, the short stretch of road from the main road to the resorts is unpaved and quite bad in some instances. Popular places to stay around Nungwi include Kendwa Rocks, Double Tree and Z Hotel on the upper side, while Amaan Bungalows is a more affordable, yet excellent mid-range option. Booking.com and Jumia Travel do offer other cheaper options if you are willing to forego luxuries such as a swimming pool or being next to the ocean. Be warned however that the likes of Kendwa Rocks and Mnarani Cottages are a little off from the more popular area, which starts at Z Hotel through to Double Tree. This area is well served by restaurants including Italian Mamma Mia, Baraka Cottages Restaurant and Copa Cabana. Copa Cabana and Mamma Mia come highly recommended, with the former being a more affordable option. Mamma Mia does have some of the best juices and pizza. The beach here is quite good and offers a good swimming spot around late afternoon when the tide is high enough and closer to the beach, further away from the star fish. If, however, you were looking for the best beaches, then Watamu in Kenya would be the place to head to. As for night life in Nungwi, it may not be as lively as the city. Coco Bello is a club that comes alive on Wednesday night with more of reggae, while Cholos is alive on Thursdays and Saturdays. Kendwa Rocks offers weekend parties and every full moon, plays host to the hottest (beach) party across the Zanzibar Archipelagos. All of these do have cover fees starting at about Tshs. 4,000 or so. However, if you came to party, you are better off sticking to the city or waiting for the full moon beach party. Other activities include a highly recommended sunset dhow tour, which can be arranged at the shops next to the supermarket near Z Hotel. These start at Tshs. 30,000 though can be negotiated slightly lower. Bring your own beer or preferred drink aboard the boat. The trip also includes snorkeling. There’s also an almost whole day sea tour which can be arranged at your hotel or at any of the local travel agents. Besides these, other activities in Nungwi include cycling, or a trip to spice farms (Zanzibar is also known as Spice Island). That’s about as much that Zanzibar has to offer in a broad snapshot - sun, sand, sea and food. Once the air fare is done with, Zanzibar is quite a very affordable destination and would offer way more than a budget traveller would bargain for. Visiting soon?